“Empty” days in your calendars are days that do not have any events. 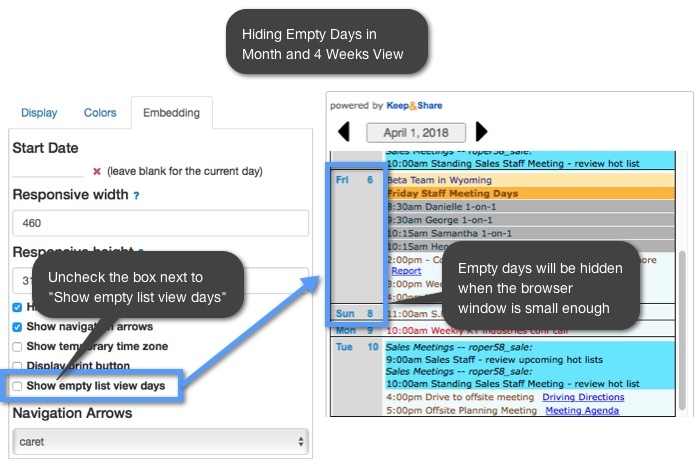 You can choose to hide these days in your embedded calendars. 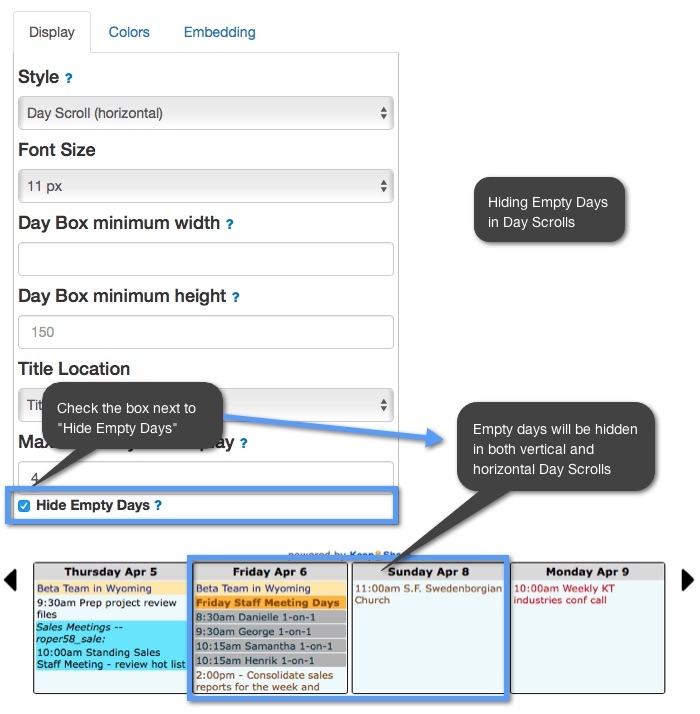 You can hide the empty days in both fixed and responsive calendars. 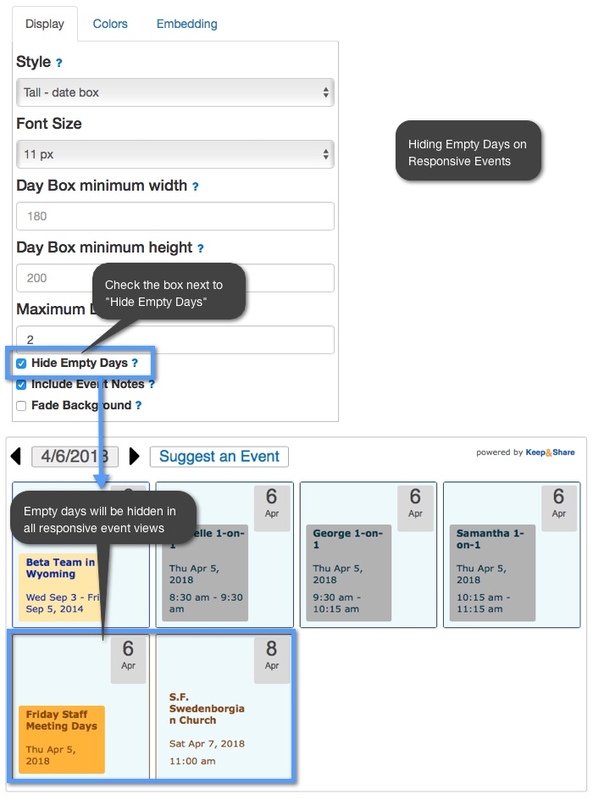 The “hide empty days” feature will also work on calendars in Event View when they are viewed on a mobile device. 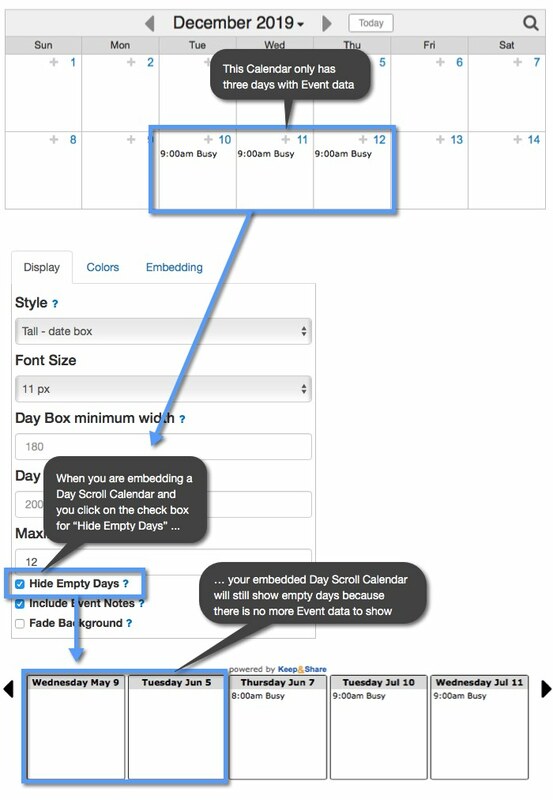 The appearance of your calendar will change slightly when it is viewed on a mobile device on a very small screen. 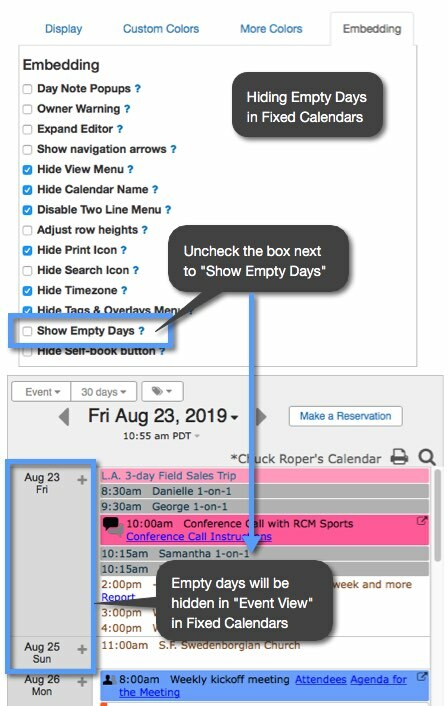 This means if you are looking at your Event View calendar on something like a smartphone, if you choose to hide your empty calendar days then this preference will still be in affect.